Those folks over at iCarhireinsurance.com must have a lot of spare time on their hands as they've recently watched all the first 4 Transformers films in anticipation of the release of the 5th movie in the series, The Last Knight. As the series is in the top 10 highest grossing movie franchises of all time, I'm surprised this hasn't been done already, but the iCarHire people have broken down the cost of all the damage in the films and how much time is dedicated to action scenes. Astonishingly, the $3.7 billion box office gross wouldn’t even come close to covering the total cost of damages, which comes in at a ridiculous $9,241,605,199. 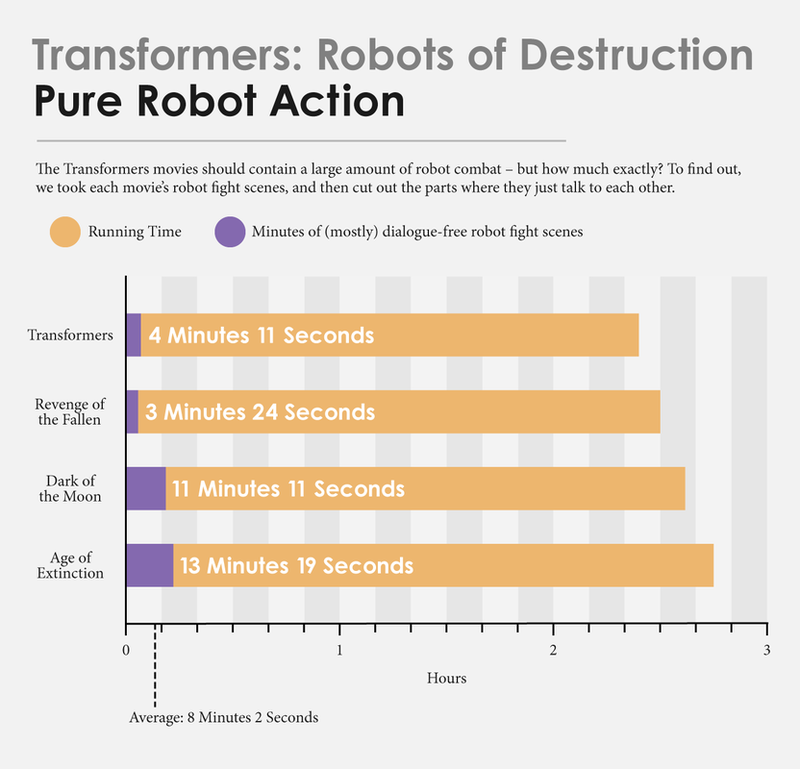 After a whole 601 minutes of movie watching they discovered that there is only 32 minutes of robots fighting, accounting for only 5% of the screen time. 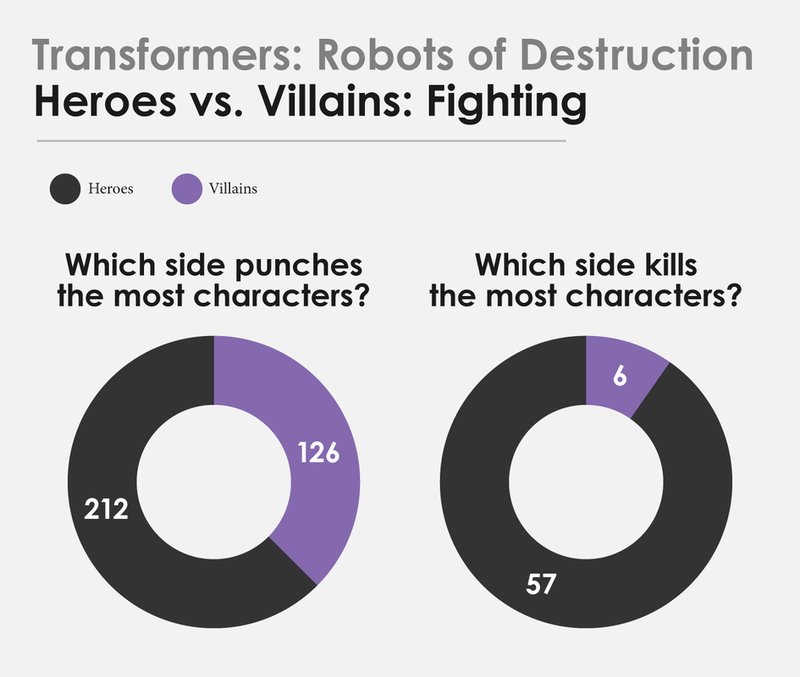 They illustrate this, along with other interesting reveals from their data, in an awesome infographic on their blog.